The new mentor mechanic lets your creatures power each other up by attacking, proving yet again that you don't need a classroom to get a good education. 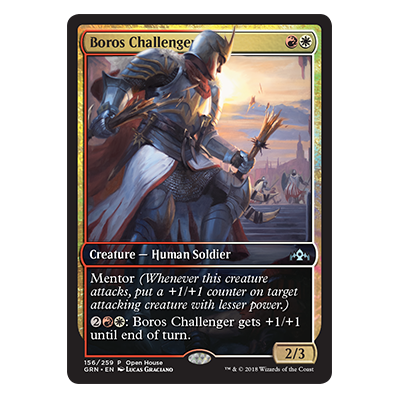 Get your own Boros Challenger at Open House, September 22 and 23! 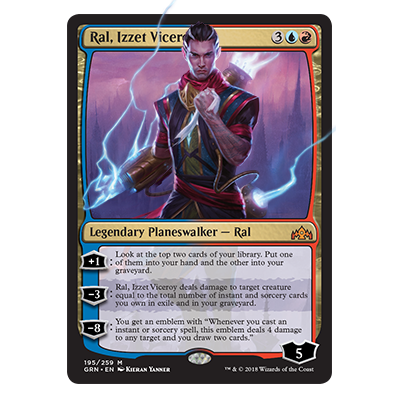 Ral Zarek sure has moved up in the world! Even though he's busy running the guild, he still finds time for his hobbies, such as playing with lightning and pushing the boundaries of reality. Teamwork is great, even if you have to make your own team members. 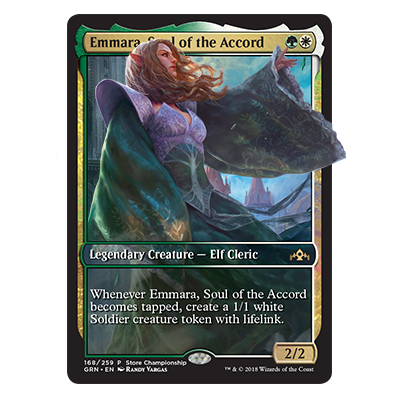 Play in the Store Championship September 10 - 16 to get this sweet promo Emmara on your team. 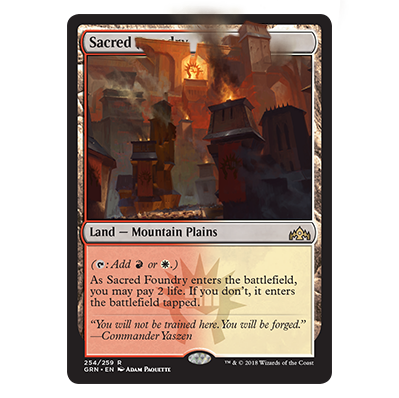 Shocking new development: shock lands are back! 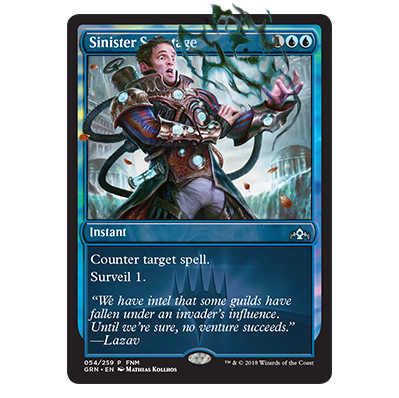 That's the face your opponent will make when you counter their best spell at Friday Night Magic—which is also the place to get your hands on this shiny promo. Buy your Guilds of Ravnica booster box from a participating WPN game store to get your shiny promo. *While supplies last. 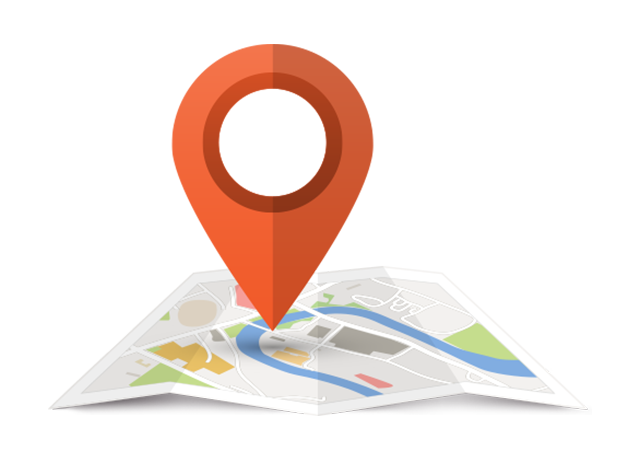 Check with your store for card availability. Each booster pack includes 15 Guilds of Ravnica cards to add to your collection—and you can expect one of those 15 to be a rare or mythic rare. Some packs even contain a premium foil card! Each bundle contains 10 Guilds of Ravnica booster packs to add to your collection, plus a 80-card basic land pack which includes five premium, foil basic lands, a Spindown life counter, and in-depth Player's Guide. Start playing right away with a brand-new, battle-ready Planeswalker Deck! 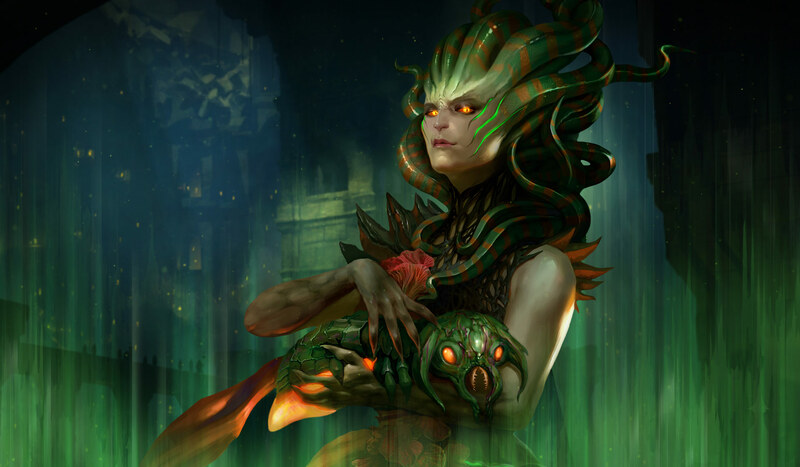 Fill your graveyard and wield the power of death with Vraska, Regal Gorgon, or bombard your opponent with a flurry of spells with Ral, Caller of Storms. A pen of porcelain, a blank page that smells of lemon, a candle, an animal’s horn, a cord tied in a beautiful knot. A set of silver scales, a Rube-Goldberg Machine, a well-worn hand tool, a steel sword, a mask. Build your deck, then play who you want, when you want. Draft a deck of Guilds of Ravnica cards at your local WPN member game store, and get a promo card! Seize your first chance to play with Guilds of Ravnica at a Prerelease tournament! A fantastic introduction to the world of Magic, for beginners or veterans!